Laminated Totes Custom Personalized in Bulk or Blank. Very Inexpensive, Promotional. Optional full color imprint. Lowest prices in the USA and Canada. 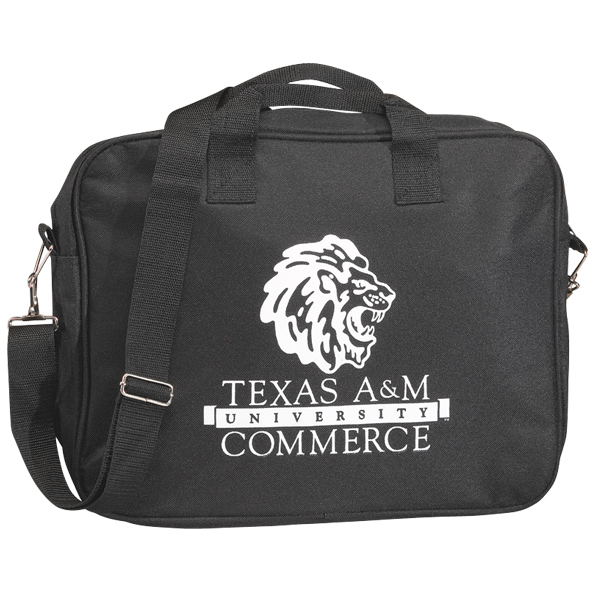 Advertising Laminated Totes customized in bulk in up to full color. Budget Prices in North America. Free Artwork Design and Secure Online Ordering. American Clients pay no taxes. The unit prices below include your 1-color custom silk-screen imprint on one side. We also supply blank (not personalized) Laminated Totes at 80% of the EQP (End Quantity Price). Additional Imprint Color: Add $0.40 per piece. 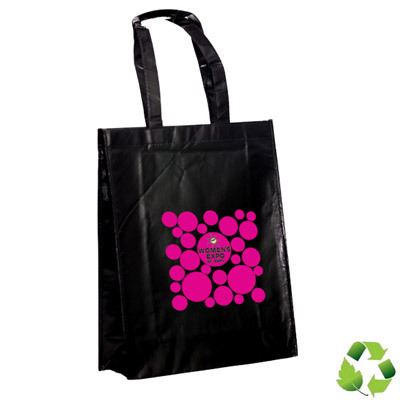 Laminated tote with attractive patent finish, 110 GSM non-woven polypropylene. Imprint Color: Yellow, teal blue, kelly green, hunter green, burgundy red, process blue, royal blue, navy blue, metallic gold, metallic silver, purple, red, reflex blue, black. Only 1 color imprint available.